Sandy West. Sandy West in the 70's. 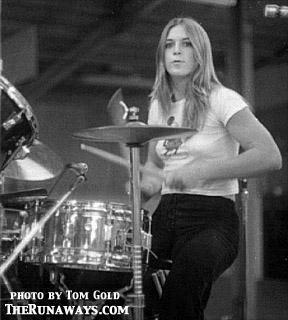 Wallpaper and background images in the Les Runaways club tagged: the runaways image sandy west. This Les Runaways photo contains le batteur, batteur, timbalier, tympaniste, timbale, and tympanon. There might also be caisse claire, côté tambour, tambour latéral, caisse, tambour, cymbale, ténor tambour, tom tom, tambour ténor, and tambour de ténor.